As always, here is another beautiful Rush tourbook with laminated covers and high quality photography of the band. This book also features a passage written by Neil Peart and band gear lists with a twist (you'll see what we mean if you get the book!). This tourbook features photos of the band from the Time Machine 2010 tour. 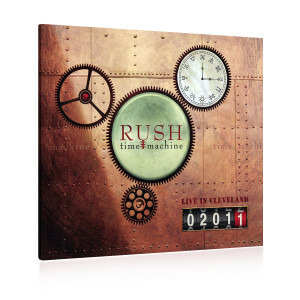 Available right here in the webstore, this is a must have keepsake for any avid Rush fan.